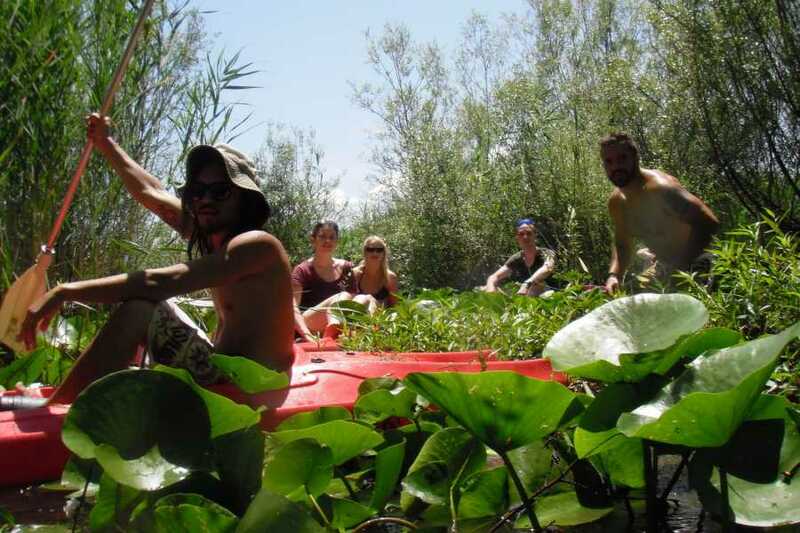 MH travel has been organizing kayaking on Skadar Lake since 2014 and this is one of the most popular and most wanted activities among guests who stay in the city of Podgorica. 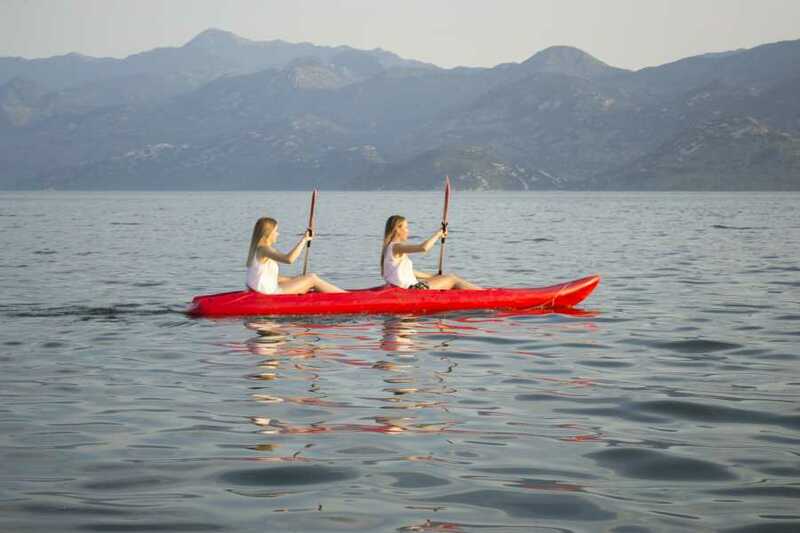 All guests who are in Podgorica (not only in our accommodation) can easily book kayaking which we organize. If you are staying in Podgorica during the summer months and if you want to escape from the heat and cool yourself in the beautiful Skadar Lake, which is only 20 km away from the city center, be sure to book kayaking. Our guide is one of the best guides in Podgorica, and therefore we can give you an unforgettable experience on the lake. This is budget tour and for the price of 25 euro you will get up to 2 and the half hours of guided kayaking tour and BBQ lunch. Kayaking is a lightweight activity and is even given to people with lower fitness capacities (seniors) and children. The minimum group to organize kayaking is 3 people, and the maximum group is 15. If a 15+ group wants to go to kayaking, a query has to be sent so that we can successfully organize it, because in that case it is necessary to engage more guides. In addition to kayaking on Lake Skadar, we also organize special, very attractive kayaking from Podgorica (center) to Skadar Lake alongside Morača River which is 20 km long. Morača River in this part of the stream is not fast and kayaking is possible for people of all fitness capabilities. Kayaking along the Morača river to Skadar Lake is organized upon request.The venue for kayaking is Montenegro Hostel B&B Podgorica. Our accommodation is in the city center, but if you stay in a hotel or accommodation that is farther away from our accommodation, we can pick you up directly at the address of your accommodation in Podgorica. From Podgorica we head directly to Plavnica (part of Lake Skadar where kayaking takes place). When we get to Plavnica, our guests get kayaks and take a guided ride. Plavnica has an exceptional restaurant complex, so guests can get refreshments in the restaurant, have a tea or coffee, or have breakfast before they start kayaking. It is recommended to have breakfast before going kayaking, but in case guests can not have breakfast in time, they can do it at the restaurant Plavnica. Kayaking takes between two and two and a half hours. It goes down the lake channel from Marina Plavnica to the large side of the lake. On the left you will see the Albanian side of the lake and on the right side of the fortress Lesendro. Our guide will guide you through the blue and crystal clear waters of the lake, and then through a lush vegetation, a rake, a reed and a sash, where you will be able to see numerous lake birds.You can stop and bathe at any time. Lake water is very warm in the summer months. After kayaking we return to Plavnica and then we go to a special place on the lake (5 km away from Plavnica) where barbecuing is allowed. Here you can sunbathe and swim while the lunch is being grilled, and after lunch we return to Podgorica. Tour is organized by air conditioned cars or mini vans or mini buses.